The Entrance Hall of the Delbee apartment, avenue Foch, Paris. It is no secret that The Devoted Classicist is a big fan of Maison Jansen, the most influential decorators of the 20th century. So it would come as no surprise that this writer would appreciate the apartment of one of the firm's directors Pierre Delbee and his wife Suzy. 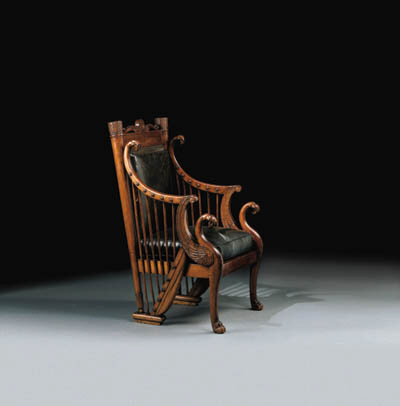 As his reserved predecessor Stephane Boudin merged into retirement, the flamboyant Pierre Delbee, who had joined the firm about thirty years previous and had perhaps become a partner after World War II, led Maison Jansen to include more eclectic approaches to design, embracing modern as well as historical styles. 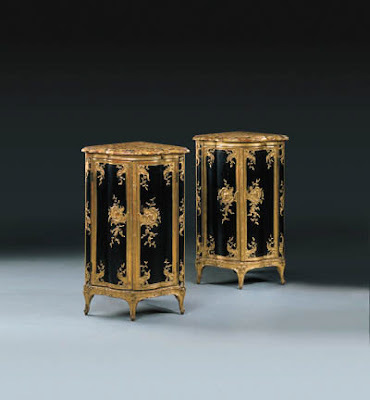 Delbee was a collector of antique objects and greatly appreciated luxurious materials and finishes; these characteristics were apparent in the work of the firm as well as in Delbee's own avenue Foch apartment. Although there were only four main rooms - a hall, a library, and two bedrooms - the apartment in a contemporary building had an almost palatial feeling because of the architectural detailing and furnishings. 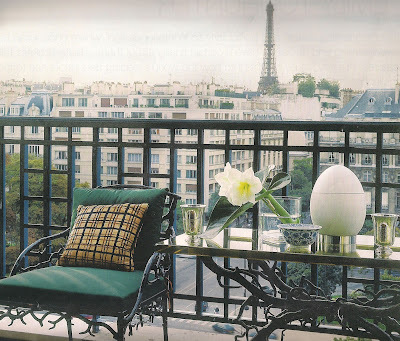 The apartment had been featured in numerous blogs, such as The Peak of Chic which provides some additional photos, and the highly recommended book JANSEN by James Archer Abbott which includes a chapter devoted to this apartment. 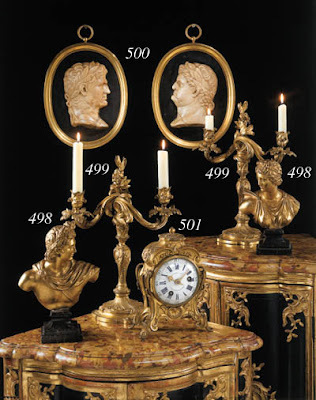 But a closer look at some of the furnishings are presented here, taken from the catalog of the 1999 Christie's sale in Monaco; the U.S. dollar amounts given are the hammer prices realized, not including buyer's fees, etc. The entrance hall in the first image also sometimes functioned as the dining room. The Jansen workshops produced transitional Louis XV/XVI style panelling painted in three shades of blue with glazed antique cream trim for the walls and the ceiling as well. 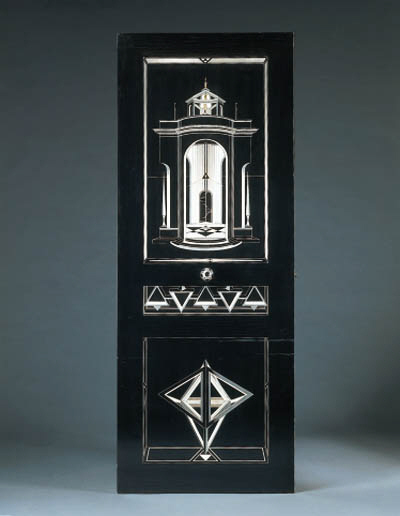 But the most memorable feature was the doors, also made in the Jansen workshops over a period of twenty months, inlaid with designs of an architectural theme of temples and follies with geometric trophies presented as a Surrealist ideal. Set of five doors, designed by Pierre Delbee and made in the Ateliers Jansen, about 1957. Ebony inlaid with ivory and bronze. 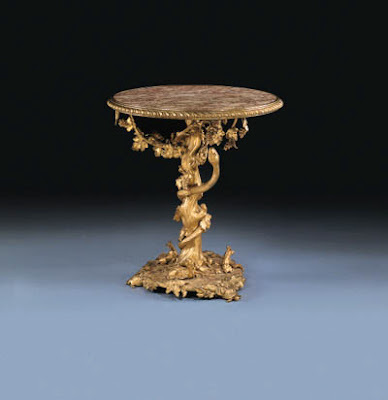 with ormolu mounts and breche d'Alep marble tops. 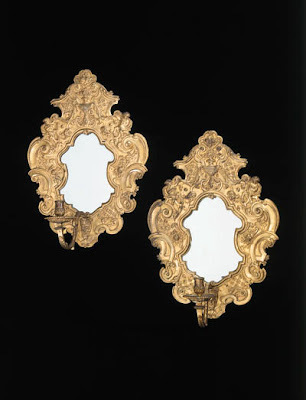 Pair of Italian marble medallions, Lot 500, 16th century. A pair of silvered chandeliers. with tiny bulbs concealed in the bobeches). A pair of Regence wall lights, gilt bronze and mirrored glass. 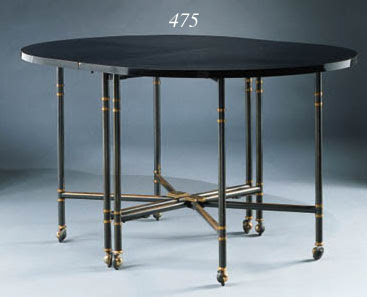 A gateleg table "Royal", 1960, of gunmetal steel, gold plating, and black Formica. This model was originally designed for the actress Jacqueline Delubac. The Library of the Delbee apartment. 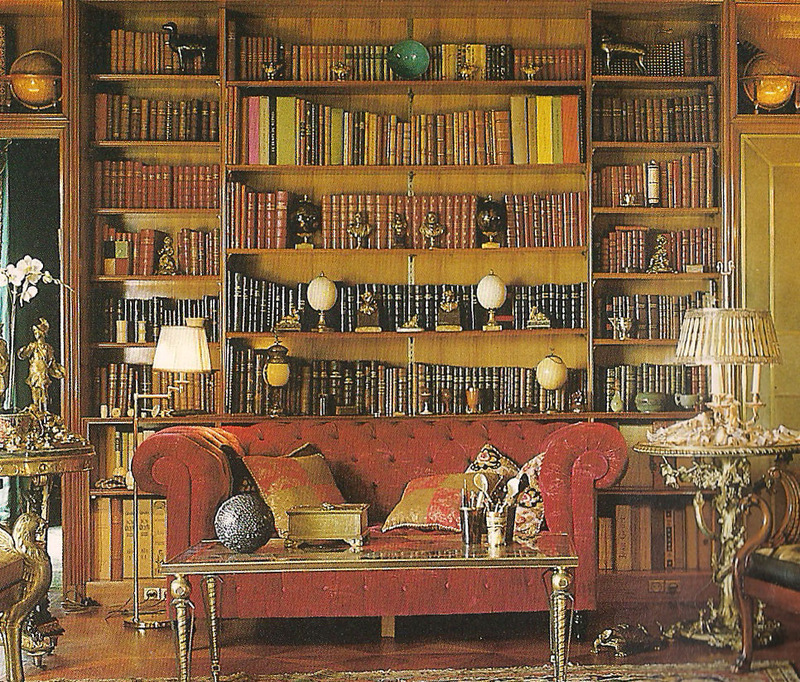 The library, serving as the only sitting room, was lined with bookcases of Brazilian red-oil wood (Myroxylon balsamum as we learned from the chapter in JANSEN) with passage doors upholstered in olive green suede detailed with strips of gilt bronze. Suzy Lazard Delbee (reportedly a member of the family that owned the French investment firm Lazard Freres et Cie, again according to JANSEN) had a passion for antique books that was expressed here, with a collection of globes, busts, and architectural models displayed amoung the rare volumes. But the most outstanding furnishings of this space were the almost throne-like chairs that were constantly rearranged to transform the room. An ormolu gueridon, mid-19th century. A pair of Empire period fauteuils of mahogany, stamped Georges Jacob. Probably made for the Salle de la Convention. 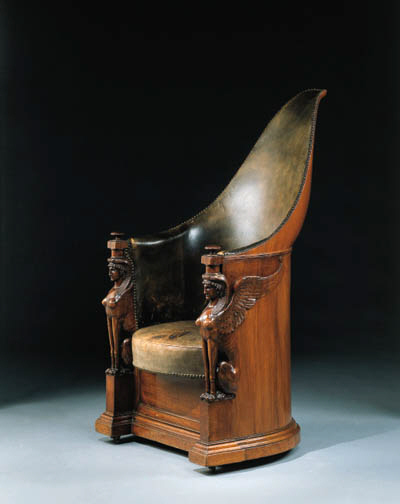 A fauteuil with harp and eagle motifs, early 19th century. An Empire period bergere of mahogany featuring terminal sphinxes. 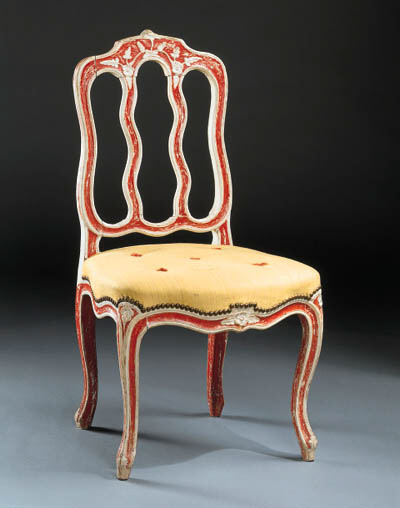 A similar chair appears in the painting "Les Licteurs rapport Brutus lses corps ses fils" by David, 1789. Pierre Delbee's bedroom was an intimate jewel box with the walls upholstered in dark green silk velvet trimmed with a specially woven decorative tape. (A variation of this scheme was used in the White House Treaty Room during the Jansen decoration for the Kennedys). 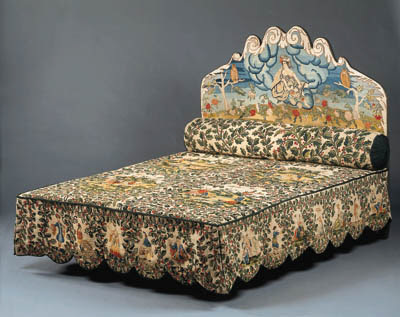 The headboard of the bed was covered in a fragment of an antique allegorical tapestry. 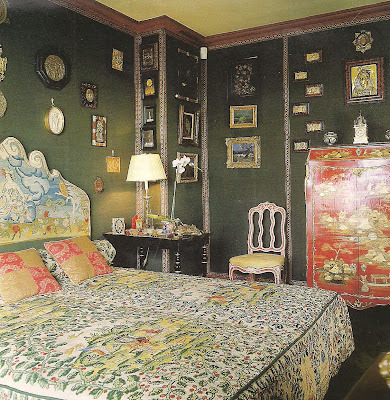 The walls were decorated with an array of crucifixes, bas-reliefs, and portrait miniatures. Here, the stand-out piece was a red lacquer secretaire a abattant signed by Francois Rubestuck dating to circa 1766. The decorative, fragile piece was not usable, however, because of the narrowness of the room (as noted in JANSEN) but placed there as a work of art. A Louis XV period secretaire a abattant, lacquer with ormolu mounts. Stamped F. RUBESTUCK et JME. and a cover of antique needlework. 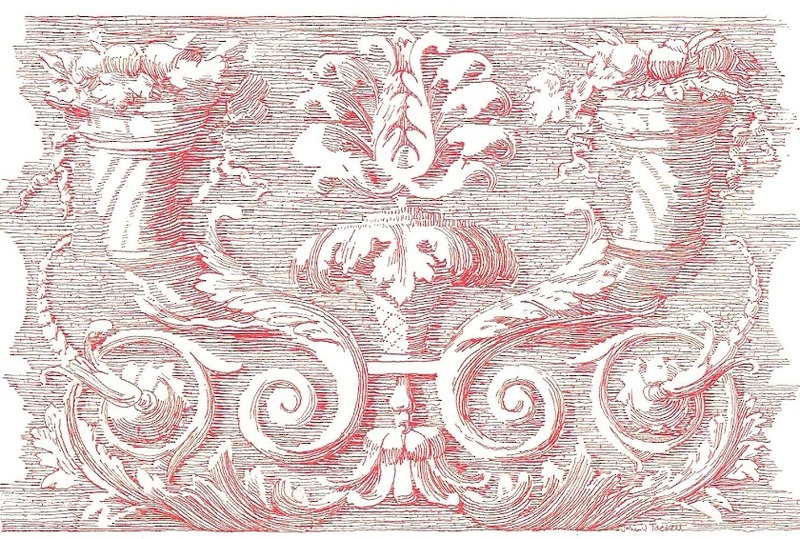 A Louis XV red and cream painted chaise. The Corridor to Suzy Delbee's Bedroom. 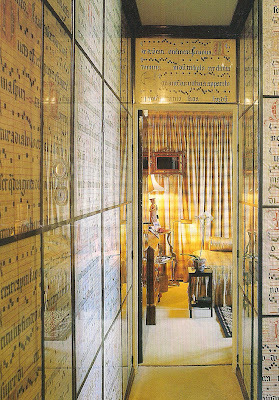 The corridor leading to Suzy Delbee's bedroom was lined with framed panels of sheet music, not included in the auction, that appear to cover concealed doors to storage. 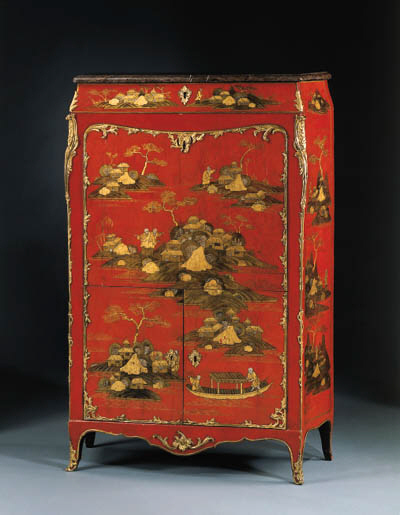 The simple furnishings of the bedroom centered around a George I bureau-cabinet. The Terrace of the Delbee apartment. ﻿The famous Jansen 'coral' garden furniture on the terrace was not included in the sale. The egg-shaped vase was manufactured by Sevres in 1969. After Pierre Delbee's death, his widow sold the furnished apartment and their country home to one of Jansen's best clients, Bartolome March-Servera. After March's death 15 years later, the furnishings were dispursed at this 1999 auction. All the photos in this post are from Christie's publications. Great posting! I too am mad for JANSEN and remember I almost leased a townhouse apartment in the east sixties, because the lobby of the building across the street had been done by Maison Jansen, and I just loved it so much! Reggie, while the individual items are fine, the mix is what really adds to to the interest, isn't it? And just as the auction estimates are usually worthless, realized auction prices are an interesting gauge of value. Thank you for commenting. I love this post. Thank you for all of the details. Mary, the pleasure is mine. Terrific post, John. 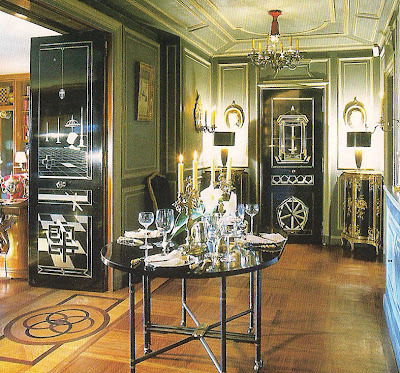 I have the Jansen book and found the Delbee's apartment the most fascinating - especially the hallway with its inlaid doors. 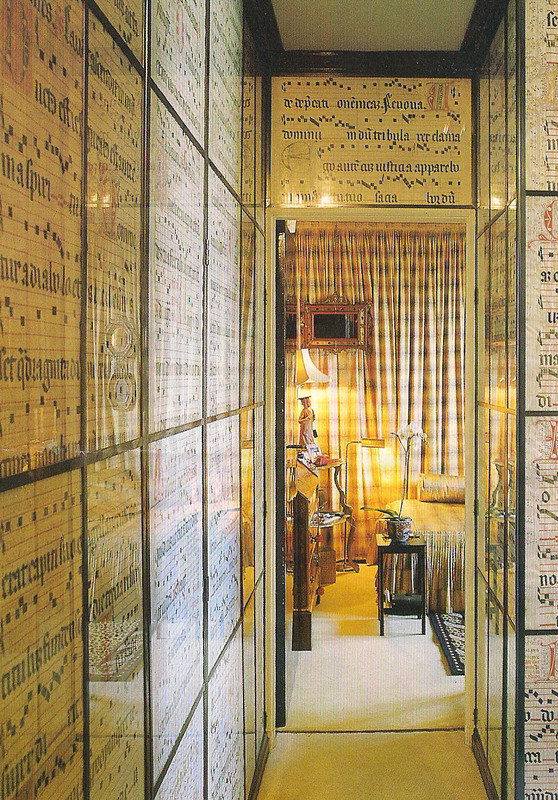 I love the idea of framed sheet music forming a grid in the bedroom corridor and concealing closet doors. Altogether very interesting - thank you. Thanks, Blue. That shot of the corridor is from a Christie's newsletter that I had saved. Although it did not really show much of the furnishings, it gave more information about the level of design that went into the apartment. Architects tend to have a collection of interesting single chairs, so I could relate to the concept of the library furnishings. As a guest, it must have been fun to choose where to sit. Could one sit in that bergere and *not* be oracular? I wonder. 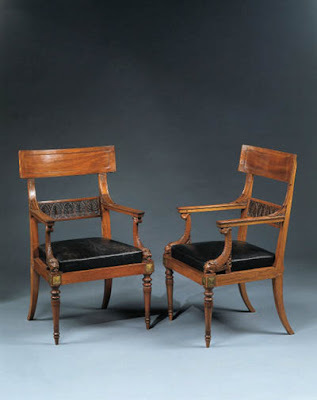 But those two Empire fauteuils by Jacob are lovely. This is not the way I remember 1957. T.A., the timelessness of good design never ceases to amaze me. But it's the good kind of headache, Thomas, the aaaahhh kind as opposed to the aaarrrgg kind, right? It is always better to suffer for beauty than ugly, no? Thank you for commenting. Not so much a headache- more state of excitement- I re-visited your post and was able to contain myself- While I have managed to lay my hands on a few treasures ( A Bugatti mirror is my biggest coup), I remain Jansen impaired. I always love seeing auction realisations , wonder what prices this sale would achieve today. Marvellous attention to detail in the apartment. Thank you for this post. Great to see the individual pieces up close. That certainly is an entrance hall to set the tone. FYI: Suzy Delbée's former husband was a member of the Lazard dynasty. (Will come back and post the info.) 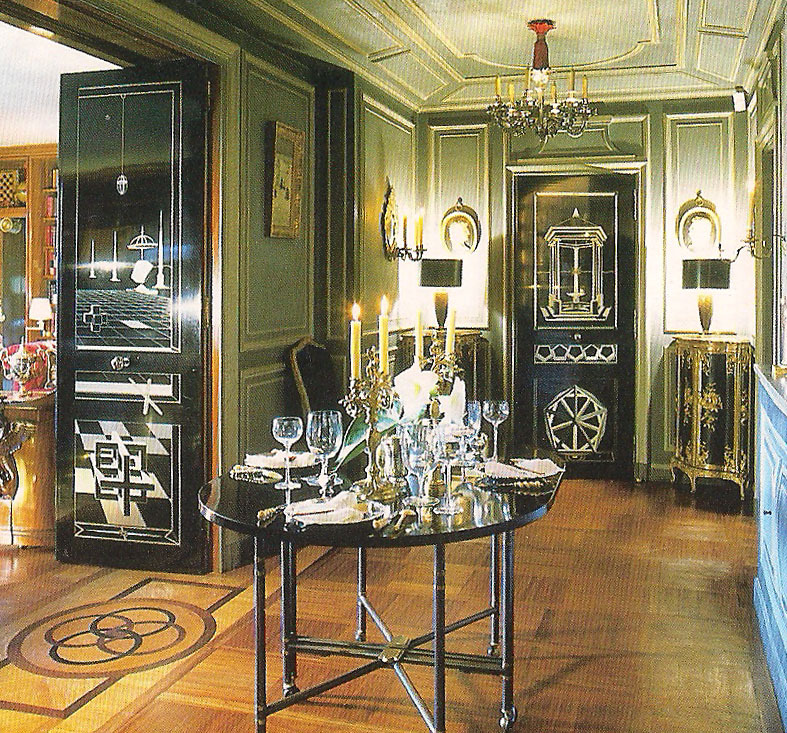 As for those marvelous doors, they are now in an apartment designed by Juan Pablo Molyneux. Pierre Delbée was a son of Henri Delbée ("architecte des monuments historiques") and his wife, the former Jeanne Taupin. Pierre Delbée married, on 15 December 1950, Suzanne (Suzy) Kober, the widow of the much older Jewish banker and race-horse owner Robert Lazard, who was born 1869 and who died being deported from France in 1943. She was a great friend of Cocteau, Christian Dior, Christian Berard, Denise Bourdet, Jean-Louis Barrault, et cetera. A memoir published in 2007 by Jean-Pierre Grédy, "Tous ces visages," states "Suzy n'était pas jolie" and that the name of Lazard, by association, stuck to Pierre Delbée like a second skin. Grédy further states that everyone continued to call Suzy by her former married name, presumably because it was much more chic. (Suzy also called used the surname Lazard, even after her marriage to Delbée, signing a book with the name SUZY LAZARD, alongside Delbée's name, in 1959.) Grédy also states that Suzy's mother, a Hungarian demimondaine, had been Robert Lazard's mistress at one time. 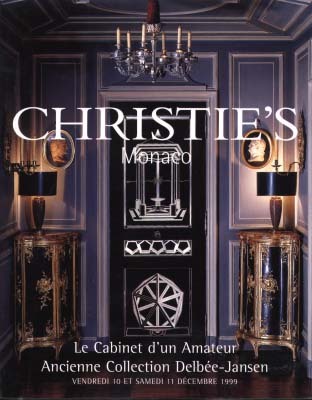 Another book, "Propos secrets," says, re the 1970s, after Delbée's death, "Suzy Lazard is a very rich woman, very elegant, with the most beautiful jewels of Paris ..."
Suzanne Kober was born in Paris, France, in either 1904 or 1905, and her mother was Countess Gantra (sp? ), who lived at 374 Rue Saint Honoré, Paris. Aesthete, thank you for this information. Despite the long-standing reputation of Maison Jansen, I had the feeling that Mrs. Delbee had social connections that had somehow helped the business. Your comments are greatly appreciated. You really should serve bibs with this kind of post so that our drools could be contained. Loved the pictures in this format as well. I have the book and I am a book fanatic, but something about seeing the beauties in the "lineup" is staggering. I am always pleased when the erudite TAL comments. Where else can you get post + comments=fauteuils, ormolu, black formica AND Hungarian demimondaine? 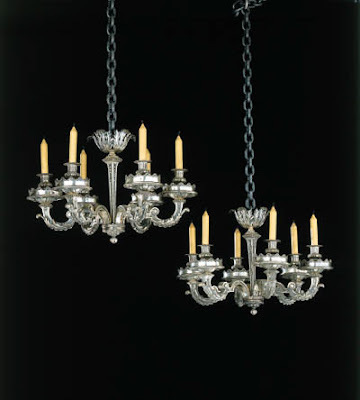 I'll take the silvered chandeliers...divine! The lacquered wooden corner cabinets are my favourites.